Porto - also known as “Invicta”, the city that has never been conquered- is Portugal’s second largest, after the capital, Lisbon, and is still relatively small with a population of under 250,000. Although certain parts have become popular with tourists, resulting in the inevitable tangle of selfie-sticks, the city feels substantially less discovered and chaotic than many vacation destinations. 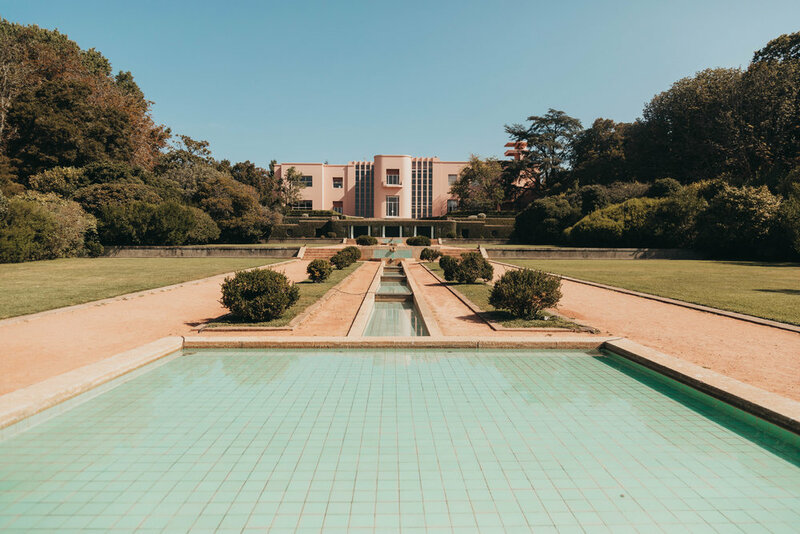 Sure, you can battle the crowds to catch a glimpse of the bookstore that inspired JK Rowling, but only 10-minutes away lies Serralves Park which overlooks acres of pasture with nothing but doe-eyed, long-horned, Mertolenga cattle for company. Uber is cheap and not only is it worthwhile to venture out to the coast, but most of the drivers pride themselves on their extensive knowledge of the city secrets and are more than happy to share anecdotes, their favourite restaurants and other useful tips along the way. The Stock Exchange Palace is a working building so the only way to view it is to sign up for one of the group tours that run about 1/2 an hour and it’s best to book it a day in advance. You’ll be mind-blown by the opulent interior and if you’ve got a spare $10k or so, you can even rent the unparalleled Arab Room for a private event. 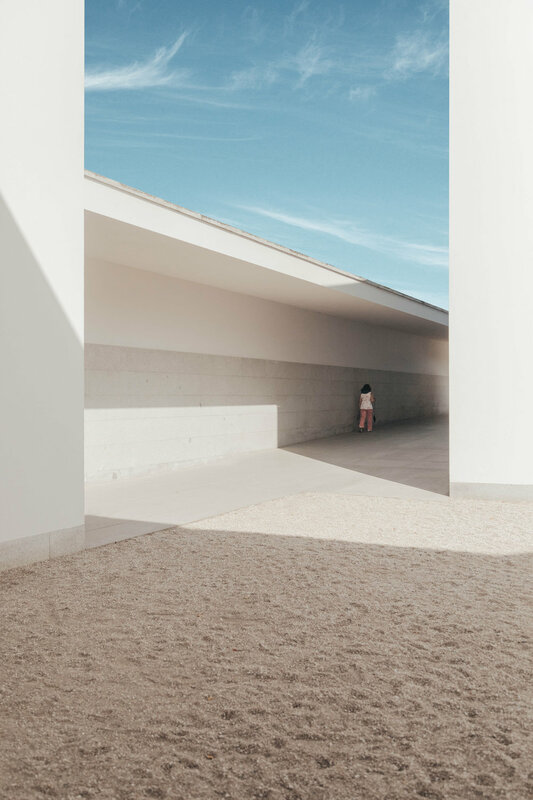 Serralves is one of the most important cultural institutions in Portugal and includes a Contemporary Art Museum as well as a 44-acre park and villa. The grounds are spectacular and it’s well worth spending a few hours getting lost amongst the ponds, the architecture, the various different gardens and sculptures. It’s easy to see why Harry Potter’s author was inspired by the over-the-top architecture in this mid-19th century bookstore. The sweeping red spiral staircase dominates the space but the intricately carved details that cover every square inch make this a truly special place. Just don’t expect to be able to move much - there’s usually a line around the block and you’ll be shoulder to shoulder with other tourists inside. 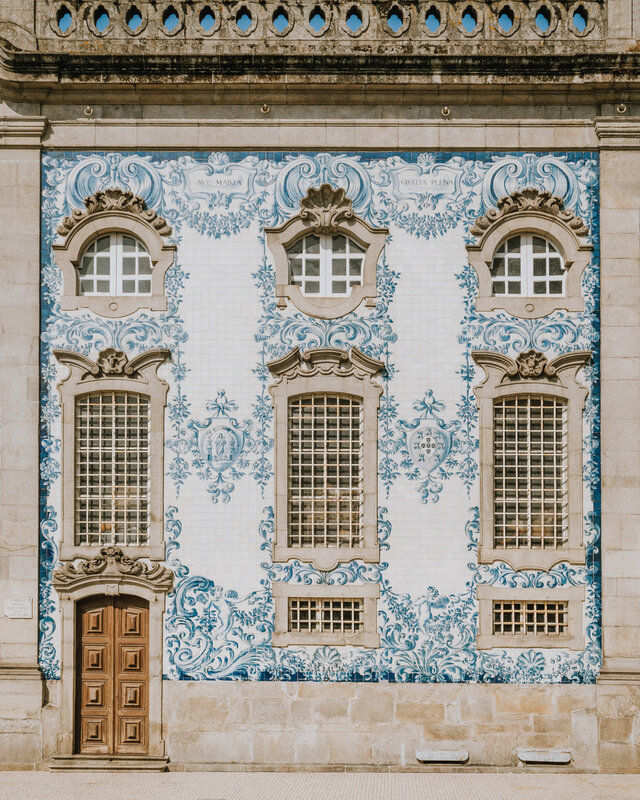 Nothing says Portuguese more than blue and white exterior and interior tiles. 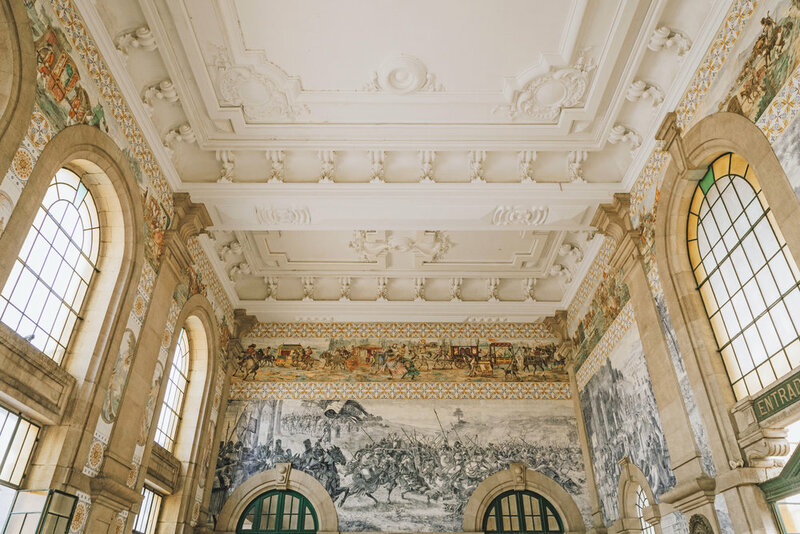 Head to this train station to see breathtaking examples of Portuguese azulejos with approximately 20,000 tiles covering the walls. Other great places to see these tiles are, Sé do Porto, Igreja do Carmo and Capela das Almas. Walking over the lower part of this bridge can be a bit of a challenge during peak tourist times as the sidewalks are narrow, the cars fast and the pedestrians distracted by the rather dangerous spectacle of local daredevils jumping from it into to the River Douro. However, the views of the area from the top deck at sunset are truly breathtaking. Featured in Vogue, GQ and the New York Times, The Feeting Room is a two-story concept store that focuses on shoes but also carries everything from stationery, clothing to jewelry and other accessories by a variety of local designers. There’s even a cafe on the second storey if you happen to have a reluctant shopping companion in tow. These are low cal, right? Asking for a friend who ate way too many of these on her trip to Portugal. These egg custard tarts are hard to describe and even harder to bake – so don’t even try! 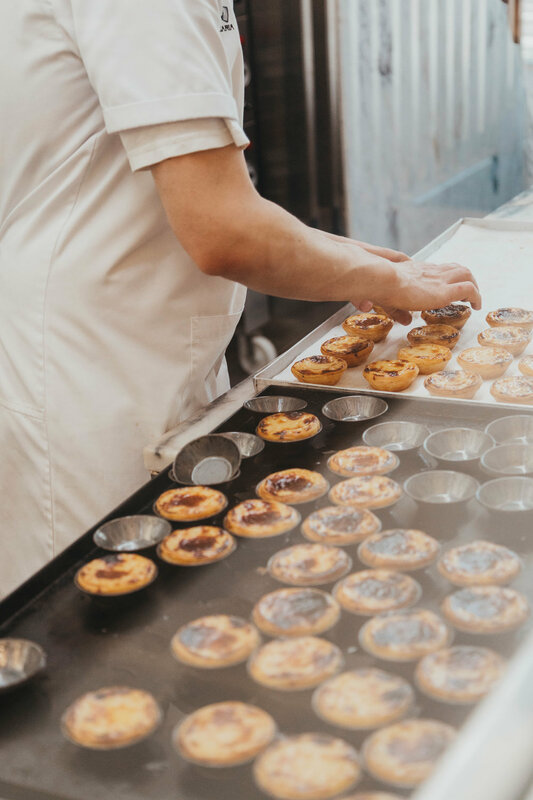 They are light and fluffy, creamy, cinnamony pillows of absolute heaven cupped inside crisp, melt-in-your-mouth puff pastry and are to die for and we found our favourites at Manteigaria. Bonus: you can watch the talented bakers making them and take extras home in cute little boxes. To be truly enjoyed, they must be fresh-baked. The singular form of the name is ‘Pastel’ but why bother- you’ll never use it! 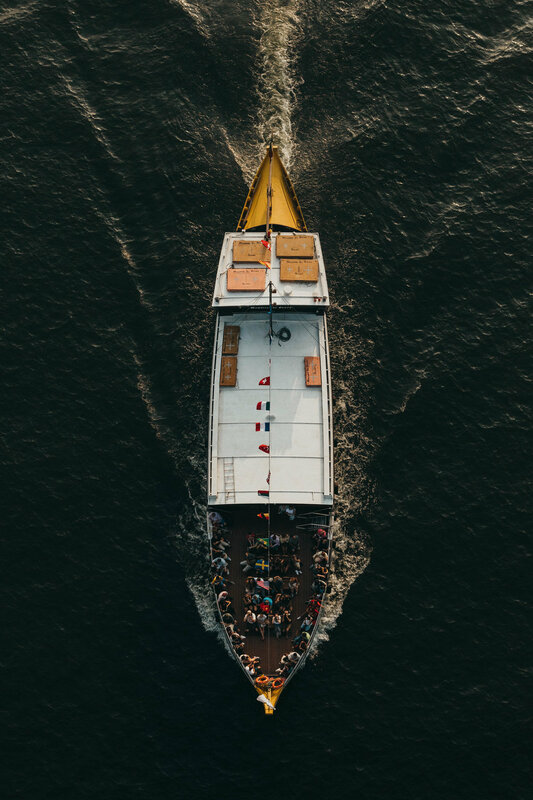 Head on over to Gaia and up to the 360º Terrace Lounge where port aficionados can choose from a wide variety of options while watching the terracotta roofs of Porto gleam as the sun sets spectacularly over the River Douro. Recommended by fellow travellers and locals alike, this little restaurant/ brewery has fantastic authentic Portuguese food and ambiance. The menu is fresh and changes every day and the staff are friendly and helpful. For a splurge and a gorgeous view of Porto from the other side of the river in Gaia, this elegant 2 Michelin star restaurant offers an excellent gastronomic tasting menu. Definitely take an Uber as you’d walk through a bit of an industrial area to get there. Conveniently located in the Ribeira District, you’ll only be a couple blocks from the promenade by the river, perfect for romantic strolls and people watching. This thoughtfully decorated modern apartment has everything you’ll need to enjoy your stay including Juliet balconies overlooking a bustling street, all the amenities of home and best of all, fresh pasteis de nata delivered to your door every morning! What more could you ask for? Take a car to the lighthouse and stroll along the coast. Even on the hottest days, the Atlantic fog rolls in during the morning and makes for magical photos and ethereal scenery and then disappears in a matter of minutes. Further south, take a dip in the seawater-fed Leça swimming pools, designed by renowned Portuguese architect Alvaro Siza. 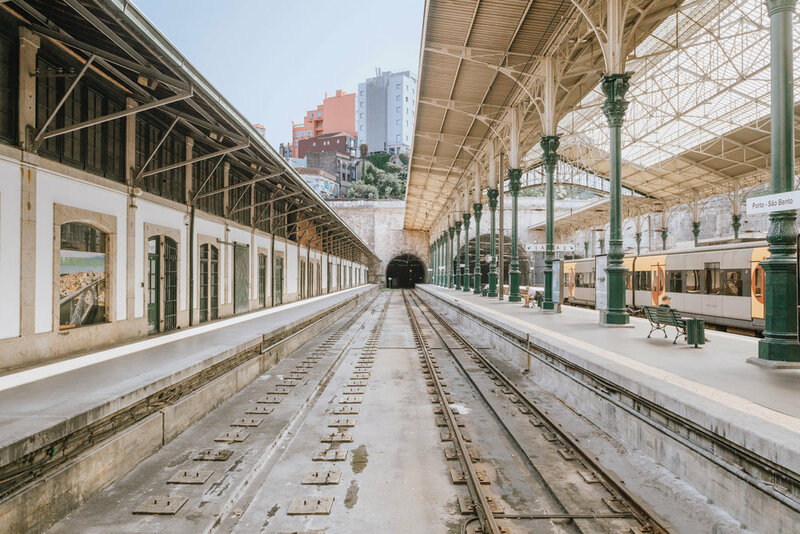 Continue on to the town Matosinhos where you can wander through the iconic municipal market and enjoy some of the world’s freshest seafood at one of the many restaurants. The affluent town of Foz do Douro has a working pier where locals fish, a gorgeous sandy beach, aptly named the Praia da Luz. 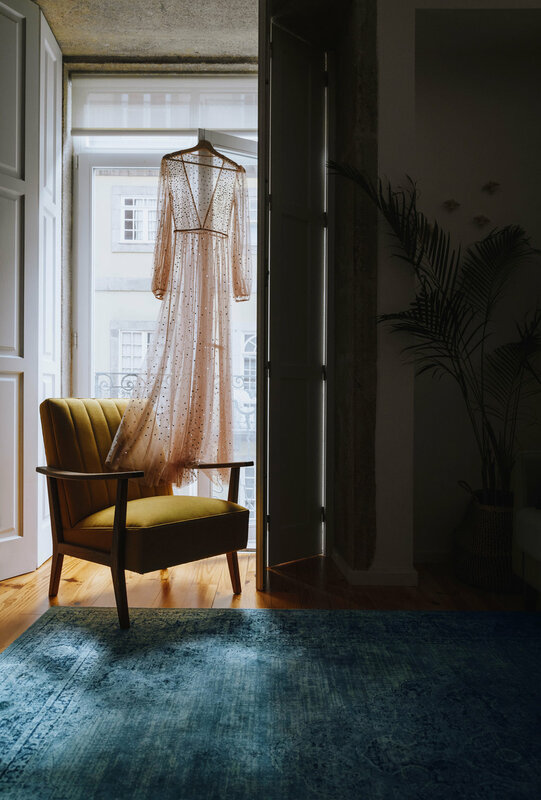 This is an ideal spot for a relaxed stroll, followed by window-shopping, dessert from a food truck and a traditional trolley to take you back to Porto.